Everead: Favorite Gardening Picture Books? Hello, friends! Well, I guess it's safe to say that it's tough for me to blog when I'm expecting a baby. More of a personal update coming from me, Alysa, soon. 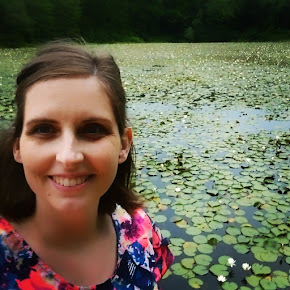 For now, I wanted to share with you this post that Bethany kindly wrote for us, when she heard I was pregnant and noticed that the posts here on Everead had slowed down a bit. Thanks Bethany! I'll chime in, too, on a few of these. Bethany's son enjoying harvest time in their first family vegetable garden. This Spring my family is taking on the project of planting a vegetable garden. We had a successful garden out west, but living in New England brings different challenges to gardening. It’s worth the effort. I’ve been gardening since I was little. I remember walking along the tidy rows of mounded dirt and using a ruler to measure an equal distance to drop in the seeds. In the summer, our days began at 6:00 am weeding the garden while the dirt was damp with dew and the sun was mild. Harvest time was my favorite. I liked pulling carrots straight from the ground, brushing off the soil and biting right in. I liked sitting on the shady porch with my Mom and snapping the beans to prepare for canning. Food from the garden tastes the best and I think some of that is because of my own effort put in. “To plant a garden is to believe in tomorrow,” is a quote by Audrey Hepburn. I like to think this applies to raising children, too. 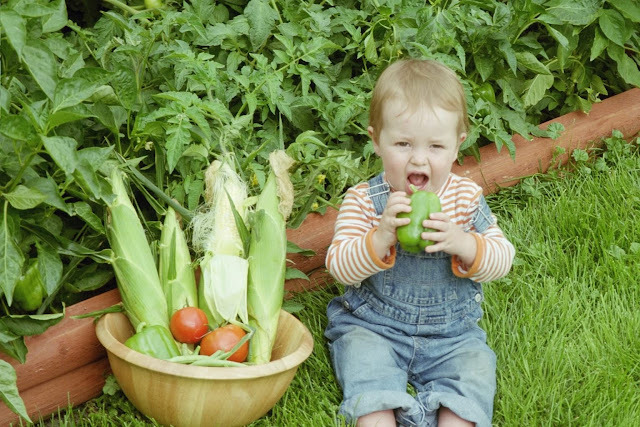 Gardens are a great project to involve the kids and help more than just plants grow. This book quickly became my daughter’s favorite picture book. Sophie is a fun character and kids can relate to her way of thinking. It is a sweet story to help kids really love their vegetables. Alysa: I really love this book too. It's very sweet, and so is its sequel! Such a great story about using your smarts. It also introduces the concept of the different parts of plants. The book is read top to bottom, which is amusing because of the title, but kind of cumbersome for the reader. A beautiful book! The illustrations are captivating and the message meaningful. My little girls love animals and every page resulted in “ahh, so cute”. I love the vivid colors of this book. Everything looks delicious and inspires variety for the taste buds. Alysa: We used to have this book! We let it go when we were paring down for a move, if I remember right. And yeah, I love Lois Ehlert's illustrations. There were some unexpected choices in food, too. Very fun. Thanks again Bethany! We haven't done a full-blown garden here in Connecticut yet, but we did plant some peas. Tell me, fellow book lovers, what books would you add to this list? We love "The Curious Garden," by Peter Brown. I love how the garden in it isn't just alive but has a personality of its own. And the illustrations are beautiful. I am always tickled by Peter Brown's books, like "Creepy Carrots," "The Wild Robot," and "Children Make Terrible Pets." I like Peter Brown books, too! Levi once made his own stuffed Creepy Carrot, haha.